"We're rooting for Manu": Manuel Feller is being supported by his fan club today. This 23-year-old local hero is from Fieberbrunn, 25 kilometres away from today's race course. Coming 8th in 2014 was his biggest Kitzbühel-success, before having to take a break last season due to injuries. 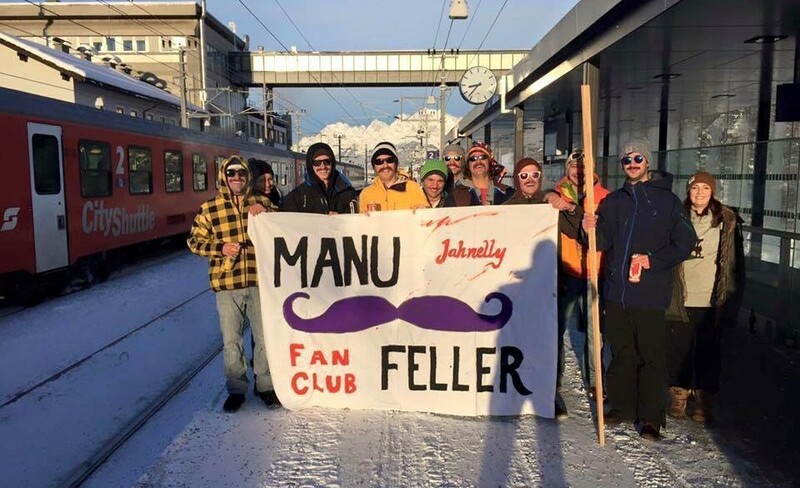 Today, Manuel will take on the Ganslern with bib number 24.